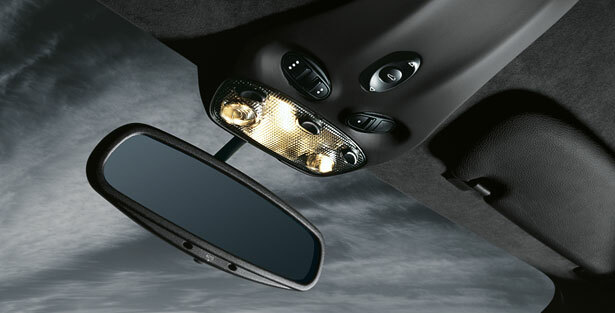 911uk.com - Porsche Forum : View topic - Garage door opener retrofit DIY. 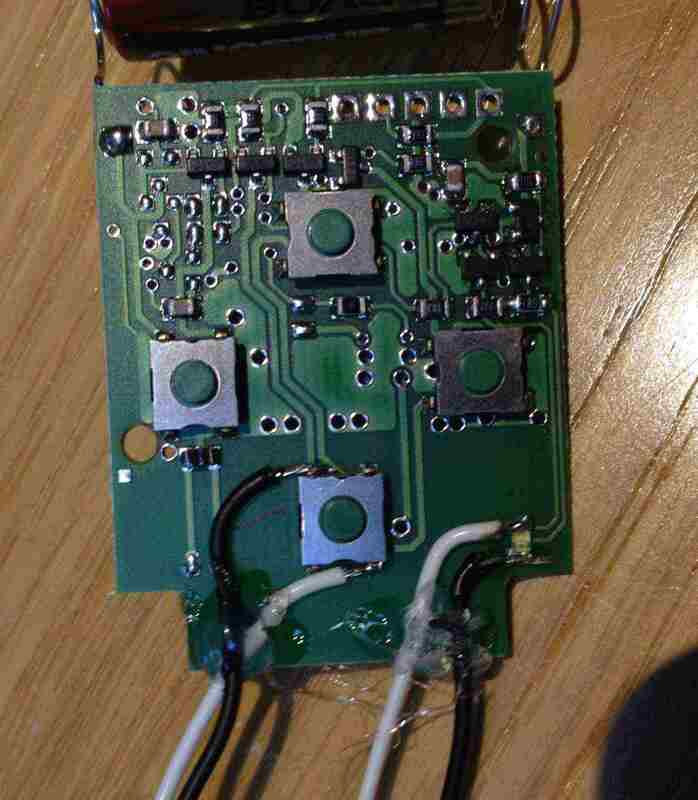 911uk.com Forum Index > 997 (2004 - 2012) > Garage door opener retrofit DIY. Posted: Mon Aug 26, 2013 12:02 pm Post subject: Garage door opener retrofit DIY. Something I've planned on doing for a while & finally got around to it. 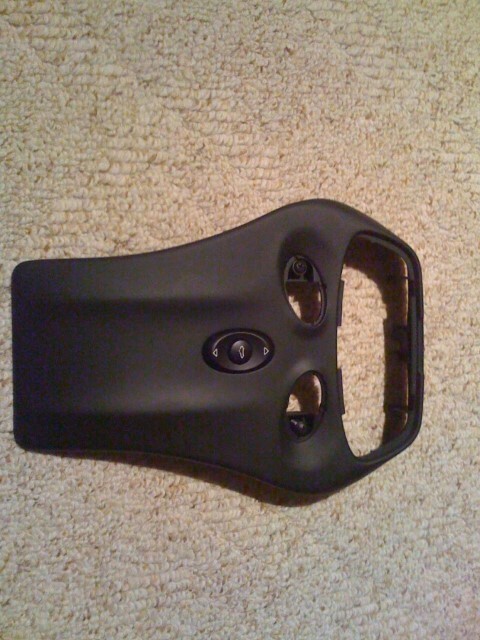 My door is a Hormann type & had a spare controller so all I needed was the OEM button. I then soldered wires on to the pins 1, 2, & 4. 1 being the illumination for the LED. The other ends I piggybacked on to the PCB of the original controller, & used a hot glue gun to secure. 4 being "Y" spliced between the negative of the button & LED on the Hormann controller. & 1 going to the +v on the LED. The wires in the pictures are coloured to differentiate only, & used for metering. I soldered the 8 tails on to the PCB & switch first & simply joined them at a later time once I figured out which went where. Afterwards, I managed to modify the original case with the trusty soldering iron to allow the wires to pass externally to the OE button. The whole thing tucks in perfectly above the drivers side roof lining & obviously the switch fits in place of the blank. Its a bit crude, but when tucked away, it looks completely OEM & saves having a garage controller rattling around in the car. Hope this little DIY is of help so someone. perfect timing I have been planning the same, how much did the switch cost you? Think it was about £36. I have a Gliderol and just took the remote apart to find this mod would be even simpler as the PCB has holes to solder the wires into, and from your guide would be very simple to do. Gonna get myself a spare remote and Porsche switch. Great idea...can you show us a pic of where you have located the switch; is there a designated place in a 997 for it to be located? Its a library picture, but you get the idea. I only used the single button, & the panel simply un screws to allow access in behind. If I get time tomorrow, I'll go out & double check & take some snaps. Just got my switch and rather than solder onto the connector as you did I will get a connector. Can you tell me when referring to connection 1 to 4 are you looking left to right with the switch faced down and connector in front of you as in your JPG Button Rear? And roughly what length of cable between the switch and remote is required for a comfortable fit? Got an old cable from the PC spares draw that used to connect the DVD drive to the activity LED on the outside of the PC. Need slight modding to fit in - snips and sandpaper to take the connectors matings off. That's exactly right what you have there. My wires were only about 4-6" long to allow the controller to sit where it is. It a good idea to wrap some bubble wrap round it to avoid any rattles too. Mine also had points in the pcb I could put the wires in, but my battery is 12v so didn't want to risk frying the led in the switch. I suppose if you wanted to break into the car wiring you could run a permanent live to the controller from the interior light too. I was thinking that battery maintenance could be avoided by hard wiring into the cars power which like my remote is also 12v but this would then tether the device to the car so I will follow your guide clanky. Switch has arrived am? I right in saying the screw behind the switch blanks are the only thing holding the panel on? not fitted mine yet but from what I can tell there's a screw in each - remove both and pull panel down by putting your thumbs in the holes and gently pull down. 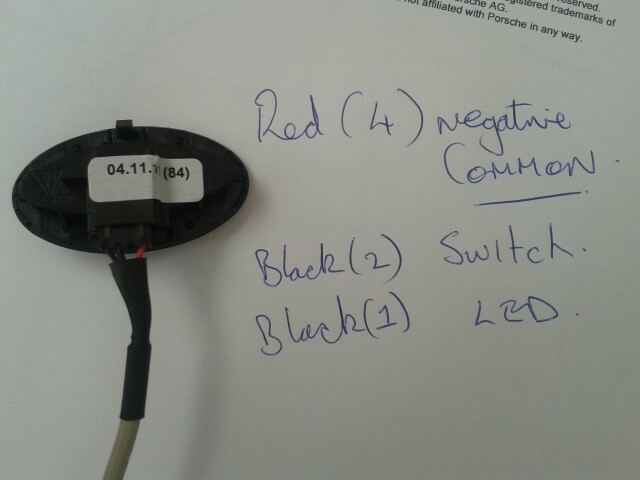 If I read this correctly and your remote is the same as the OP's then you need to take what is my RED (4) cable and splice it into 2 and put both reds South of the switch and LED on the Remote, and each of the Blacks (1 and 2) go to the North of the LED and North of the Switch respectively. Do we know what pin3 does? So have you got it working properly now?